The Big Ten, Pac-12 and Southeastern Conference are following the NCAA’s lead and will no longer allow EA Sports to use league logos in its college football video games. The NCAA announced last month it will no longer allow Electronic Arts Inc. to use its logo starting next year. The move comes as the NCAA fights a high-profile lawsuit that says the governing body owes millions of dollars to former players for allowing their likenesses to be used for free. ESPN first reported the SEC would end its licensing agreement with EA, and a spokesman confirmed that to the AP Wednesday. Spokesmen for the Big Ten and Pac-12 say their conferences also will not renew agreements with EA. The conference contracts do not cover individual schools, which can sign their own licensing deals. 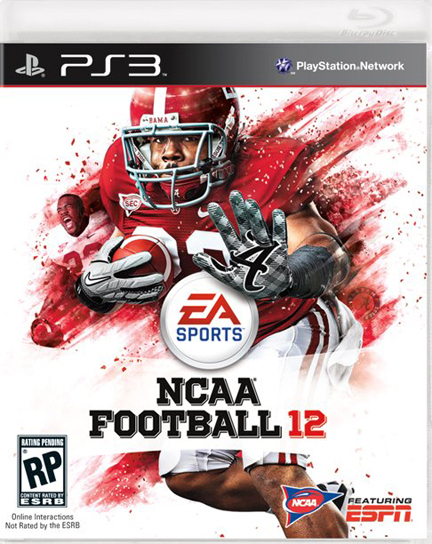 That would allow EA to have games depicting top-level football programs, such as Alabama from the SEC, Ohio State from the Big Ten and Oregon from the Pac-12. The games would not be able to make any mention of their conferences. Spokespeople for Con­ference USA, the American Athletic Con­ference, Moun­tain West Conference and Sun Belt gave similar statements, saying their leagues will be evaluating the situation. The commissioners of the other FBS conferences — Atlantic Coast Con­ference and Mid-American Conference — were not immediately available and it was unclear whether their leagues would follow the growing trend. Former UCLA basketball star Ed O'Bannon is the lead plaintiff among 16 former college athletes in the long-running legal battle that could fundamentally alter how the NCAA operates. Basketball Hall of Famers Bill Russell and Oscar Robertson previously joined the lawsuit that also names EA and the Collegiate Licensing Company. Five current college football players were added to the lawsuit last month, including Vanderbilt linebacker Chase Garn­ham, Clemson cornerback Darius Robinson and Arizona linebacker Jake Fischer. Also, EA is being sued by former Arizona State and Nebraska quarterback Sam Keller over the use of his likeness in video games.